Why retain tax credits or the Lords? 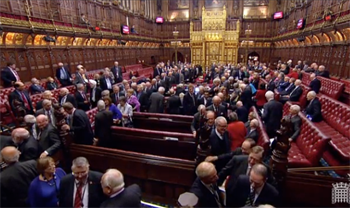 On Monday, 26th October, the unelected House of Lords overruled the elected House of Commons and voted to delay the reform of Working Tax Credits (WTC). News of this was greeted with applause by predominantly labour supporters who saw it as a victory for compassion for low income families against the nasty Tories. Transgender has been in the news a lot this last year, and this week had a few stories of prominence where transgender was the key component. 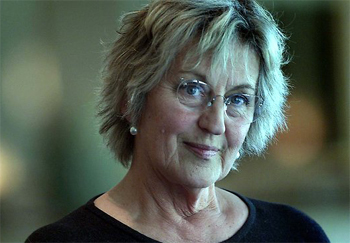 Glamour magazine gave Caitlyn Jenner The Transgender Champion award, Germaine Greer withdrew from speaking at Cardiff University when the Women's Society launched a campaign to have her dis-invited, and the case of Tara Hudson who was sent to HMP Bristol starkly posed the issue of how the authorities decide on the status of transgender individuals. Swarms, refugees and migrants all welcome? An abandoned meat van on the main road to Vienna was discovered this week to have contained 71 bodies presumed to be Syrian refugees who had died from suffocation having left from Hungary on Wednesday. In the last year it is estimated that 2500 people have died trying to cross the Mediterranean Sea from North Africa trying to get to Europe in inadequate boats. 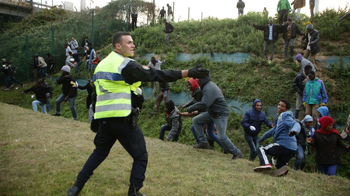 Last month the port of Calais in France was besieged by migrants who numbered in hundreds on some nights trying to find a way of getting to the UK by climbing onto a train or lorry or entering the channel tunnel. These are incredibly perilous journeys with a distinct possibility of death en route, being sent to a detention centre or back to wherever they were fleeing from. Who'd have thought it? 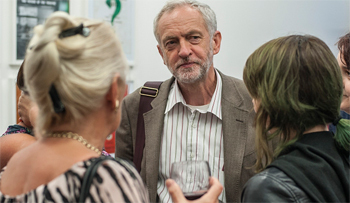 Jeremy Corbyn, the silent figure of a Labour MP for 32 years becomes a focus for those who say they want something different from the Labour Party after the Blair years. Well it's true he's not Blair in name, but he's certainly riding high from Blair's legacy.